Aerosweep’s FOD*BOSS is widely acclaimed as the ultimate foreign object debris (FOD) sweeper used by airports, airlines, military and air forces. FOD*BOSS Airfield Sweeping System was designed specifically for removing FOD from airport runways and tarmac surfaces. It is made up of a series of brushes that shift the FOD and then collect it with specially formulated Aerothane TM blades. 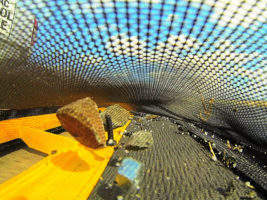 Dangerous debris such as runway fragments, nuts and bolts, loose baggage, sand, and gravel is collected into the FOD*BOSS’s mesh carrier quickly and efficiently. This sweeper operates on concrete, asphalt, interlocking pavement, fine-textured, smooth or grooved surfaces, in all weather conditions at high speed. The FOD*BOSS has a range of sweeping widths at 8ft, 16ft or 24ft, with speeds of up to 40mph. The complete unit is portable and quickly folds away into storage. 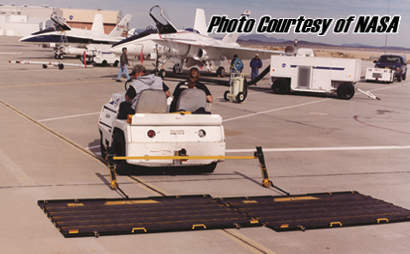 The FOD*BOSS can be towed by any vehicle and operated by one person. It is low-maintenance as it has no engine. 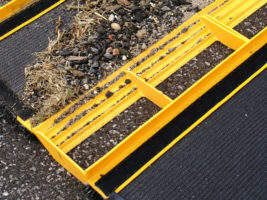 It comes with a total lifetime manufacture and performance guarantee. 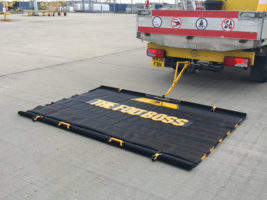 Airports, airlines and military bases now recognise that the FOD*BOSS is more than capable of handling their airfield sweeping program as it has quickly become the most reliable and cost-effective FOD removal tool in the aviation industry. The FOD*BOSS is fast becoming the primary sweeping device for all aviation applications across the globe. Whether you run a routine daily, weekly, or monthly FOD sweep or require a reliable FOD sweeper at a moment’s notice, the FOD*BOSS is up to the challenge. Capable of being operated by any member of the team behind any vehicle with a tow point using a complete range of tow adaptors, the FOD*BOSS is the most versatile sweeper available. The FOD*BOSS’ green credentials cannot be disputed. Its non-mechanical operation and ability to be towed by either battery or electric-powered vehicles means it is one of a kind in the airfield sweeping industry. Any small vehicle such as a golf cart or electric buggy can operate a single (8ft), duplex system (16ft), or triplex configuration (22ft) at speeds of up to 40km/h (25mph). FedEx, Delta and United Airlines are amongst some of the world’s largest carriers who have all integrated the FOD*BOSS into their FOD programs with outstanding results. The cost of damage to aircraft engines is significant enough, but add to that the damage caused by FOD to aircraft tires, as well as the cost of downtime caused when aircraft are out of commission, and it’s little wonder major airlines are now placing such high importance on the quick and efficient removal of FOD from aircraft movement areas. Repair or replacement of military aircraft components damaged by even a single FOD strike can cost up to hundreds of thousands of dollars. 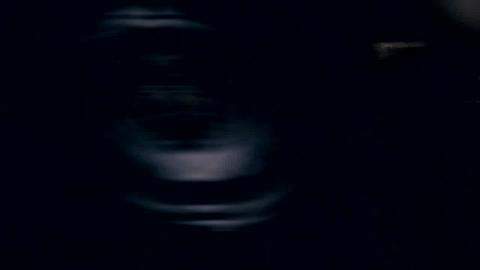 Military bases worldwide have therefore been operating the FOD*BOSS sweeper for over a decade. 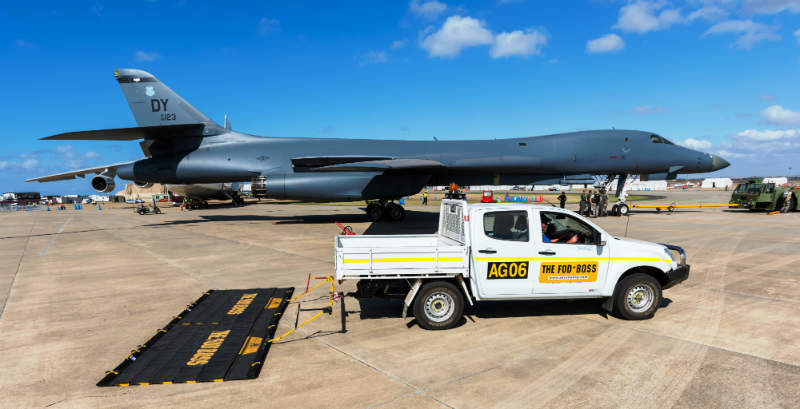 What started out in Australia under the Royal Australian Air Force (RAAF) has now spread across the globe to help protect the most valuable and high-tech aircraft from damaging and dangerous FOD-related incidents. F22 Raptors, RAF Tornados, F14s and many more vulnerable fighter jets are highly susceptible to FOD damage. “I have used the FOD*BOSS product when I was in the F-14 community and it saved millions of dollars in fodded engines. Once we received the FOD*BOSS, we did not have another fodded engine until we went to the ship. So with that, I say thank you!” from U.S Military VAW-121 AMO. “Our first FOD Boss unit was approximately 2 and a half years old and used daily. It’s estimated that the unit acquired between 8,000-8,500 miles of usage picking up an estimated 32,000lbs of debris (potential FOD). Calculations were based on more than 800 days of usage, 10 miles per day and 40 lbs per day of debris collected. Today, we still believe in the FOD Boss and continue to use daily.” from Operations Safety & Audit Manager, Airways USA. The FOD*BOSS is an advanced patented sweeper designed exclusively for collecting foreign object debris (FOD). 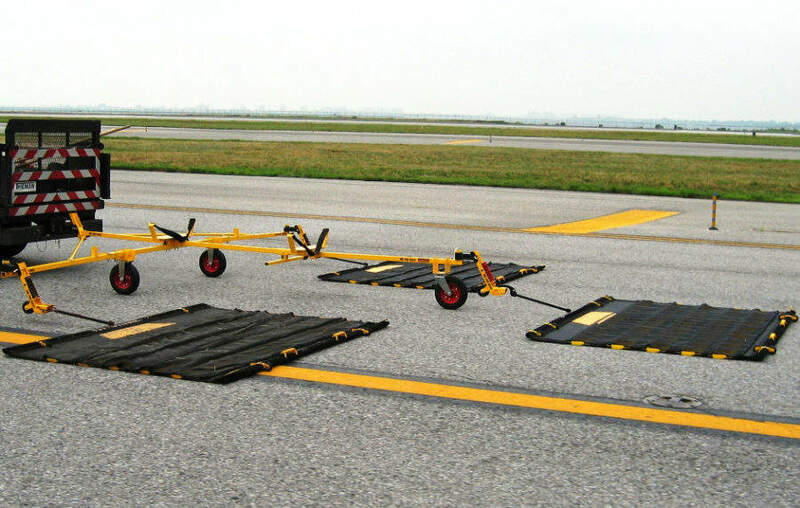 Between 20 July 2011 and 8 May 2013, the University of Illinois Center of Excellence for Airport Technology (CEAT) conducted extensive research into the origins of FOD on runways at major airports, including the types and sizes of the FOD collected. The FOD*BOSS is a lost-cost high-efficiency, compact and portable solution that easily removes airport runway foreign object debris (FOD) in wet or dry conditions. FOD*BOSS sweeping operations can be tracked and logged using an app, which can also transfer the data to a secure login database. Aerosweep's foreign object debris (FOD) sweepers include a number of vital components to ensure effective FOD removal from airfields and runways. Keeping taxiways and runways clear of debris is an everyday task for airports and aviation and aerospace industries. Customers now have the option to track and log their FOD*BOSS sweeping operations using an iPhone or iPad. Data can also be transferred onto a secure log-in database. The FOD*BOSS airfield sweeper outperforms any other sweeper. The FOD*BOSS is supplied with a guarantee of being the most effective airfield sweeper available for the duration of its service life. 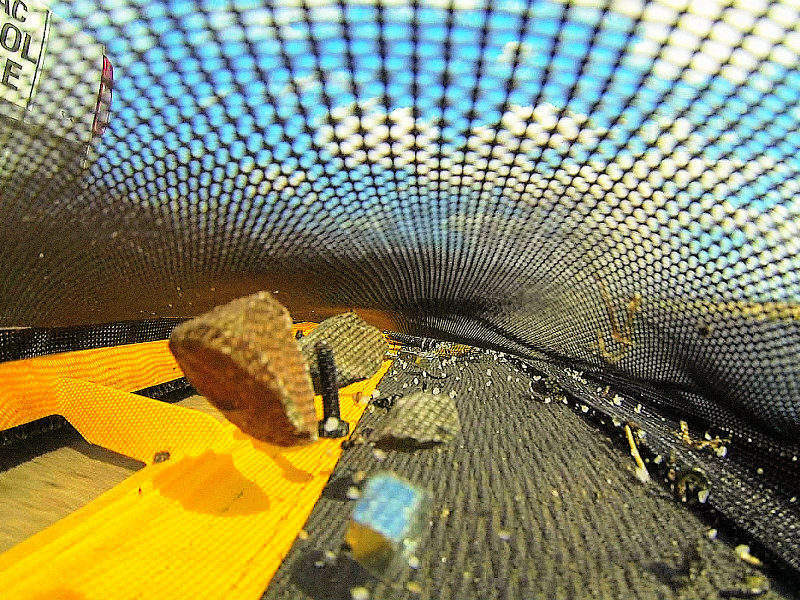 Aerosweep provides products for clearing foreign object debris (FOD) left on airport runways to avoid costly damage. 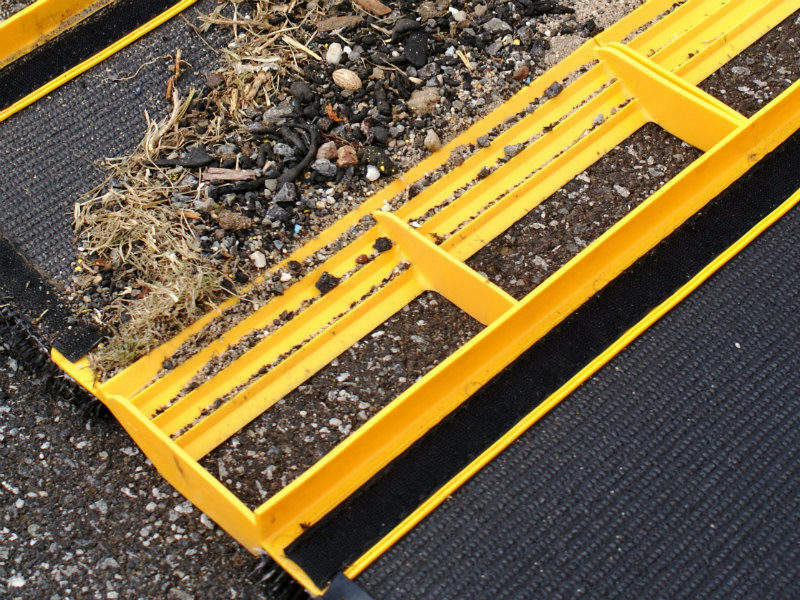 This can be any type of object or debris that is left on airport runways. Order your 2014 (A1 size) FOD*BOSS wall planner today. Simply email or Facebook message us with your name, organisation with postal address and specify either one or two wall planners, and we'll send them to you free, anywhere on earth. Use your iPhone or iPad to track and log your FOD*BOSS sweeping operations on your device and transfer your data on to a secure log-in database.